We fix problem water! Does your water cause staining? Odors? Sediment deposits? Bad tastes? We can fix it! 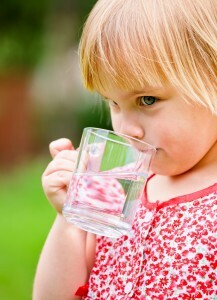 Allow our pros to come out to your home and perform a free on-site water test! Call today 610-459-1098. Our family has served Chester County, Delaware County and New Castle County for over 50 years and has earned the respect and trust of our ever increasing customer base. One thing you can be sure of; we will treat you right. From our headquarters in Aston, PA and our dispatch depots in Oxford, PA and Downingtown, PA, our professionals help Delaware Valley homeowners and businesses alike with their water conditioning needs. Whether you need an entire conditioning system or just have a question, you will be given all the time you need. From Malvern to Pottstown to Oxford to Media to Wilmington to Newark and all surrounding communities, your water problems are ours and we’ll do whatever is necessary to correct them. Is your water exhibiting any of the following symptoms? Problems like these stem from sediment, bacteria, chlorine, low pH, hardness and several other contaminants. We discover the cause and fix it. We guarantee our systems will do what we say they will or we will either remove the equipment and give you a full refund, or offer you an at-cost modified solution. In short, we will always honor our commitment to you. Call 610-459-1098 to see how our family can serve your family today!